Antion Auto is a premier used car dealership in Bountiful, Utah. Owned and operated by Nate Durbano, our dealership was created from an accumulation of 9 years in car buying/selling experience. In that time, I had the opportunity to work at smaller car dealerships and some of the big franchise stores in SLC. During my 9 years of being involved in the car industry I found a lot of things I loved about the car buying experience, I also found a lot of things I hated about car dealerships and the image dealers have. I wanted to create a place that took all the good in the car buying experience and have a dealership that offered a comfortable and enjoyable car buying experience. It has been Antion Auto’s pleasure to serve our customers and help them get the car they wanted without the nasty and high-pressure environments that other dealerships have. Antion Auto is a great place to come and shop for a vehicle. Our motto is “We LOVE Cool Cars”, and we really do. We put a lot of effort into finding the right cars from the beginning and getting the “COOL CARS” that people want. Everyone that works here from the owner down is PASSIONATE about cars; we have built a different car buying experience that is NOT motivated only by making money, but rather creating a smooth and enjoyable experience for our customers from start to finish. 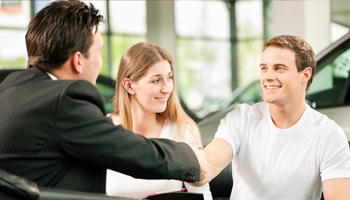 We want them to be as passionate about their car as we are; this is why Antion Auto is worth coming to. We know you will pass a dozen other dealerships to get to us, but I can promise the Antion Auto experience and the quality of our cars are worth the effort.